I love leafy greens! If you've been reading my blog, or attending any of my cooking lessons, you probably know this by now. Usually I talk about incorporating greens into soups, smoothies, stews and stir fry, but to be honest, most days I keep it really simple and I'm happy to eat a big ol' bowl of sautéed kale or collards. Is that weird? Maybe. Either way, I've been meaning to share this "recipe" with you for a while. It's very simple and can be used with whatever greens you have on hand. Just so you know, the term "greens" generally refers to a broad category of leafy vegetables, including collard greens, mustard greens, swiss chard, beet greens, arugula, kale, spinach, etc. Although most of these are readily available and packed with nutrients, they tend to be overlooked. Given the excellent nutritional profile of leafy greens, I encourage you to seek them out and try different varieties. You can use the recipe below as a starting point. I enjoy sautéed greens as a snack topped with hemp hearts, as a side dish, in a Buddha Bowl, or served with Quinoa Pilaf and chickpeas or beans. My personal favourite is to make open faced sandwiches topped with Hummus and sautéed greens. It does get a bit messy, so a fork and knife are necessary. Scroll past the photo of sautéed beet greens and you'll find my simple formula for Sautéed Garlicky Greens. Enjoy! To prepare the greens, give them a thorough wash, and then chop or rip the leaves into bite sized pieces. If you are using kale, collards or chard, cut away the stems first. You can use the stems in your sauté as well, just be sure to slice them into small pieces. For less hearty greens like arugula or spinach, there’s no need to separate the stems. Add the greens and continue to cook over medium heat, stirring frequently. Add a splash of water or vegetable broth, if needed, to keep the pan moist. For hearty greens, like kale or collards, cook them until they are tender, but still green in colour — this can take about 5 to 7 minutes. For softer, more delicate greens, like spinach or arugula, cook until they are wilted — this may only take a minute or two. Finally, add a big squeeze of lemon juice or a few splashes of vinegar to your greens. I personally love apple cider vinegar, but use whatever you like! Season with salt and pepper and then serve immediately. Have you ever noticed that your mood takes a turn for the worse if you skip a meal? Do you ever feel tired, lethargic or just plain cranky in the afternoon? If you've experienced this, you'll know that it's not enjoyable for you or for those around you. A good way to avoid these unpleasant situations is to fuel up on foods that keep your blood sugar balanced. Making smart choices will not only improve your health, but also your mood, energy levels, creativity, and memory. Below I’ll tell you about how our food choices can impact our blood sugar balance and how to avoid the dreaded highs and lows. Our brains require glucose to function properly. When blood sugar (blood glucose) drops too low you'll notice changes in cognition and mood. You may experience impaired memory, irritability, slowed thinking, or even feelings of depression. For example, if you consume a lot sugary foods your blood sugar levels will spike. When this happens, your pancreas pumps out insulin to help regulate and store any excess glucose found in your blood. In this situation, the body often produces more insulin than needed and, all of a sudden, you've gone from very high blood sugar to very low blood sugar. What happens next? Lethargy, fatigue and cravings for sugary, sweet foods. At this point, you’ll reach for something sugary and sweet, and the cycle continues on. To prevent this emotional, psychological, and physiological roller coaster, focus your diet on healthy, whole proteins, carbohydrates, and fats. Your meals should include lots fresh produce (particularly vegetables; extra points for leafy greens), whole grains, pulses (chickpeas, split peas, lentils and beans), and some fats like nuts, seeds, olives and avocado. Why? Because these foods will nourish and satiate you by providing a balanced mix of vital micro and macronutrients. You'll feel full longer, you’ll be more energetic, and you’ll keep your blood sugar stable. Having the right kind of snacks can also help balance blood sugar. Having a little bite to eat both mid-morning and mid-afternoon will provide that little top up your body needs to continue functioning at full capacity until your next meal. Some healthy snack options include a handful of trail mix, an apple, rice cakes with almond or peanut butter, hummus with raw veggies or a seaweed snacks (I love dulse these days). I also regularly remind my clients about the importance of drinking water throughout the day as the onset of dehydration can tigger mental and physical highs and lows. You’ll want to limit sugar, alcohol, and processed foods. Every now and then most of these things are fairly harmless, but be aware that they can trigger blood sugar irregularities. These products are very low in nutrients and high in calories, offering little to no health benefit, and leading to an instant spike in blood sugar. It’s okay to indulge from time to time, but balance is key. If you consume mostly healthy, whole plant-based foods your diet will contain more mood-boosting nutrients. You’ll also be healthier and happier, with balanced blood sugar to boot. I was recently on the Plant Trainers podcast speaking with hosts Adam & Shoshana about ways to be healthier over the holidays (and into 2018), shared tips on how to add more plant-based foods to your diet, my pantry staples, and more! It was a fun interview. CLICK HERE to listen. Enjoy! Just over a year ago I stumbled upon the eye-catching Instagram account of an Ottawa-based blogger called "Pequena Vegetariana". The Instagram account and blog focusses on colourful, vibrant vegetarian recipes in Portuguese and English. A few months later, I had the chance to meet the blogger behind the blog when Ana Tavares attended one of my cooking classes. Ana has been such a positive influence and has always been so supportive. I've gotten to know her better over the last year as she has since attended many of my cooking lessons and even participated in my group nutrition program. Ana was born in Brazil and now lives and works here in Ottawa. Although she works full time as a public servant, she also has several exciting endeavours underway that she showcases on her new website. While Ana has lived in Canada since her teens, she still has strong ties to Brazil. This past summer she worked with Brazilian publishing houses Belas Letras and Imaginarium to create her first cookbook, "Comidinhas do bem", which launched in November 2017 in 235 stores across the country. It features 45 exclusive recipes created by Ana, daily positive living tips, beautiful photographs and graphics. I also played a very small role in the creation of this cookbook as I provided nutritional content for foods based on their colour. It was truly a full circle moment to be able to offer my support to Ana in creating this gorgeous cookbook. The cookbook is only available in Portuguese at the moment, but it has opened the door for some fun future collaborations between Ana and me. Stay tuned! Recently Ana shared one of her new recipe with me and I'm thrilled to be able to pass it along to all of you. She's come up with simple and delicious Gingerbread Cookie Dough Bites that are sure to satisfy your sweet tooth this holiday season. I love that this recipe features whole foods and is free of refined sugars and flours. This recipe is definitely #AmyApproved, but I'm told it was also a big hit with Ana's 2-year-old son Ethan. Try them out and let us know what you think! If you're in the Ottawa area and would like to learn more about vegan baking from Ana, she has a holiday baking class coming up this Saturday, December 16. For more information or to register, please visit her website. Without further ado, please scroll down for the full recipe. In a blender mix together the oats, ginger, cinnamon and ground cloves until it resembles a flour like texture. In a large bowl, whisk together the coconut oil, almond butter, maple syrup, molasses and vanilla extract until well combined. Slowly add in the blender mixture and finally, add in the almond flour. By the end, you may need to use your hands cause it’ll get a little sticky. Generously fill a tablespoon sized measuring spoon with the cookie dough mixture, roll into balls and place in the freezer. You should be able to make between 18 to 24 balls. Freeze for at least an hour, and serve cold directly from the freezer. Once the balls have frozen, you can move them over into an enclosed container and keep them in the fridge for all your holiday cookie cravings! I was recently invited to speak with business strategist Marguerite O'Neal on her podcast, Creative Disruption. In this episode, I shared my own health struggles, my career change from communications consultant to chef, my favourite foods, strategies for eating healthier during the Holidays, and more! To listen, CLICK HERE. As a holistic nutritionist, I go to great lengths to procure and share my favourite things with others and that usually includes sustainable, natural, non-toxic, plant-based, ethical, local, and even organic gifts. If you’re like me, or maybe shopping for somebody who’s a bit of a health nut, I hope to make that process easier. I’ve complied a Holiday Gift Guide that includes many of my go-to gifts that are sure to appeal to the healthy, sustainable or ethically minded. Natural skincare products. My absolute favourite gift to give is local, natural, and handmade soap or lip balms. Pretty much everybody loves these gifts, and they make great stocking stuffers! Hand or body creams also make great gifts during winter months. Look for natural products that are free of parabens and phthalates. Organic Fair Trade coffee, chocolate & teas. You really can’t go wrong here! Kombucha. This fizzy, effervescent probiotic tea is extremely popular these days. It also happens to make an a lovely and unique host/hostess gift in lieu of wine. Alternatively, if you're looking for a gift for a kombucha lover, why not create DYI kombucha starter kit? Last year, I gave my sister-in-law a scoby (the kombucha starter), a bag of organic black tea, organic cane sugar, and a nice big jar for brewing. She loved it! Essential oils. Aromatherapy offers countless health benefits, especially during busy (read: stressful) times like the holidays, and cold and flu season. Essential oils are perfect for stocking stuffers, or combined with a diffuser you have a scent-sational gift. Gift cards. Although they aren’t as fun to open, gift cards can still be incredibly personal and thoughtful. Pretty much every store or service you can think of offers gift cards nowadays. If you’re in the the market for a health or wellness gift, your best bet would be health food stores, spas, massage therapy, healthy restaurants or meal delivery services, and yoga or fitness studios. Cookbooks. Either hardcopy or virtual eCookbooks are a great idea for those who love healthy food and cooking. I currently love anything by Oh She Glows (my friends and clients tell me they prefer the first cookbook), Minimalist Baker, or Vegan Richa. I published an eBook of my own. It’s now available on my online shop. Use promo code HOLIDAYS by December 1, 2018 for 50% off. Nutritious nosh. I love making homemade granola, trail mix, healthy sweets, chia jams, soup mixes, or mustard for friends and family. N.b. : If you're planning DYI food-based gifts, just make sure you’re aware of any allergies. Houseplants. Did you know that certain plants can actually improve air quality in your home or apartment? Although Poinsettias are popular this time of year, up the ante by giving the gift of an air purifying plant. Mums, Peace Lilies, and Snake Plants can not only pull formaldehyde from the air, but they make an excellent gift. Gift basket. If you can’t decide on just one thing, why not create a little basket featuring several of your favourites? This article is modified from a piece I wrote for Kardish Health Food Centre’s blog. CLICK HERE to see the original article. I was asked by my alumni association, the Canadian School of Natural Nutrition Alumni Association, to do a video about my experience entering and working in the field of holistic nutrition as part of their Nutrition SuperStar series. In the video I share my struggles and advice based on my own trials, errors, ups and downs. I hope this video will be useful to those you who are interested in becoming a nutritionist, considering starting your own wellness business or maybe just looking for a little bit of motivation. Click on the video below to listen to my story. If you follow me on Instagram, you may have seen my recent adventures to Notre-Dame-de-la-Merci in rural Quebec for a weekend at Kabania. I was there working - for the second year in a row - as the chef for Anne Tessier's restorative yoga retreat. Although I was there for work, I truly benefited from being in nature, connecting with the yogis, hiking, doing a few yoga classes, foraging in the woods, and disconnecting from the outside world. I also did a lot of cooking along with my excellent karma helpers who assisted me in the kitchen. One of my favourite meals from the weekend was the Raw Taco Bowl. I'm still dreaming about it, and people keep asking for the recipe, so I figured it was time I shared it here. Because this dish is raw, it's great in the summers months when we have access to tons of fresh local veggies. Plus, on a hot day, the last thing you want to do is turn on the stove. The only "cooking" equipment required is a good food processor, but otherwise, it's basically just chopping and little bit of planning ahead. Besides being the perfect dish to load up on fresh, seasonal vegetables, my favourite part is the walnut "meat". The fattiness of the walnuts, combined with a few choice spices and the umami flavour of sun-dried tomatoes, makes it the perfect replacement for spicy ground beef. Like my Buddha Bowls, you can really customize this dish to your liking. The salad components are merely a suggestion, feel free to add or subtract to your liking. When I made these bowls for the retreat, I added black beans from a can, store-bought salsa and organic corn chips, which are not raw. If you want to keep this dish entirely raw, omit the beans and corn chips, and add fresh pico de gallo. Scroll down to learn how to make your own Raw Taco Salad Bowl, and please leave me a comment if you try the recipe. I love hearing from you! Process all of the Walnut Taco Meat ingredients in a food processor until well combined, but still chunky and crumbly. Combine all of the Creamy Cashew Lime Dressing ingredients in the blender and process until smooth. If your dressing is too thick, you may need to add more water until you reach your desired consistency. You may also need adjust the seasoning by adding a little bit more salt. To assemble your salad place about 2 cups of leafy greens in a bowl. Add the salad components of your choosing. Then add the walnut meat and drizzle about 1/4 cup of dressing on your salad. Garnish with cilantro, green onion, and corn chips, and enjoy immediately! The one year anniversary of my wedding is fast approaching. For those of you who are new to the blog, Jeremy and I got hitched on September 3, 2016. You can see some photos of the big day here. It was a crazy, amazing, world-wind day that I'll definitely never forget. Our wedding had some traditional elements, but it was very progressive in many ways. Leading up to the wedding I jokingly described it as a "feminist, non-secular, vegan wedding". It was all of those things, but it was also so much more. It was literally the best party ever (I'm sure most of the attendees would agree) with the best people ever, and we can't thank friends and family members enough for their massive help and support in making our dream wedding possible. I'm often asked what we served for food at a vegan wedding. Given that most people have never attended a vegan event I completely emphasize with their curiosity. There were very few vegetarians, let alone vegans, at the wedding and it was a huge privilege to introduce everybody to this style of cuisine. Jeremy and I are fairly healthy eaters. If I were to give it a label, I'd say we eat mostly plant-based whole foods. Basically, we eat LOTS of vegetables and we go to great efforts to eat seasonally and locally. It was very important to me that our wedding menu was reflective of that. Of course, since we were feeding a lot of non-vegans, I also wanted to make sure it tasted really, really good! In the last many months, I've been dreaming of publishing an eBook featuring all the recipes from the wedding. If you follow me you'd know that I've had a really busy year full of travel, events, and a lot of business growth, and because of all that I've been pushing this off for ages. I honestly don't have a lot of time to work on an eBook, but I'm committing to it. I hope to have it out within the next few months and I'm working with a few others to make it happen. I don't have a set-in-stone release date just yet, but I'm putting it out there so that I can't renege on my promise. As a token of my gratitude to those of you who've been following and rooting for me, the eBook will be FREE to newsletter subscribers. (If you haven't yet subscribed to my newsletter, you can do so HERE.) As I continue to work on the eBook, I'll be releasing a few of the recipes on my blog prior to the launch date. Most of the recipes were developed by our wedding chef, Nancy Leclerc, or me, and some are inspired by other recipes we found online or in cookbooks (of course the latter will be credited). In this blog post, I'm sharing one of my absolute favourite appetizers. This fig and olive tapenade is truly a go-to for parties and pairs perfectly with cashew cheeses. Everybody (except the odd olive hater) loves it. It's not the prettiest thing to photograph, but Anne Bouchard, our wedding photographer, managed to get a few nice snaps as you can see below. For the full recipe, please scroll down. Roughly chop the figs and olives. Add to food processor and pulse a few times. Add rosemary and balsamic vinegar. Then pulse several more times, frequently scraping down the sides with a spatula, until you have a nice chunky consistency. Serve with crackers or a sliced sourdough baguette. Enjoy immediately, or store in an airtight container in the refrigerator for up to 2 weeks. Note: if you don’t have a food processor you can chop everything by hand. Modified from the original recipe by Kayb featured on Food52. Here in Canada - and in the US too - many of us are getting ready for a long weekend of parties, barbecues, camping, or maybe a gathering at the cottage. I love any opportunity to celebrate, and of course, food is always at the forefront. If you're looking for a few good recipes to make for the weekend, look no further! I've put together a little list featuring a few of my tried-and-true, crowd pleasing, yet nutritious recipes. Whether you're looking for an appetizer, a summer salad, or if you have a hankering for something sweet or refreshing, see below for eight of my favourite summertime recipes! BEET HUMMUS - perfectly portable, allergy friendly, and kid approved! ZUCCHINI ALMOND DIP - one of my most popular recipes by far, this raw vegan dip will impress even the pickiest eater. AMY APPROVED 4-LAYER DIP - you'll be the most popular person at any party if you bring along this Mexican inspired layered dip. Enough said. WATERMELON MINT SALAD - the ultimate in hydration, this subtely sweet yet refreshing salad is ideal for a hot day. SIMPLE SUMMER SLAW - this mega nutritious, yet shockingly delicious slaw never fails to impress. It's the perfect dish to bring to a potluck or a barbecue. POWER PASTA SALAD - this has been a staple in the Longard family for years, and this protein packed, veggie-rich salad is guaranteed to be a hit! 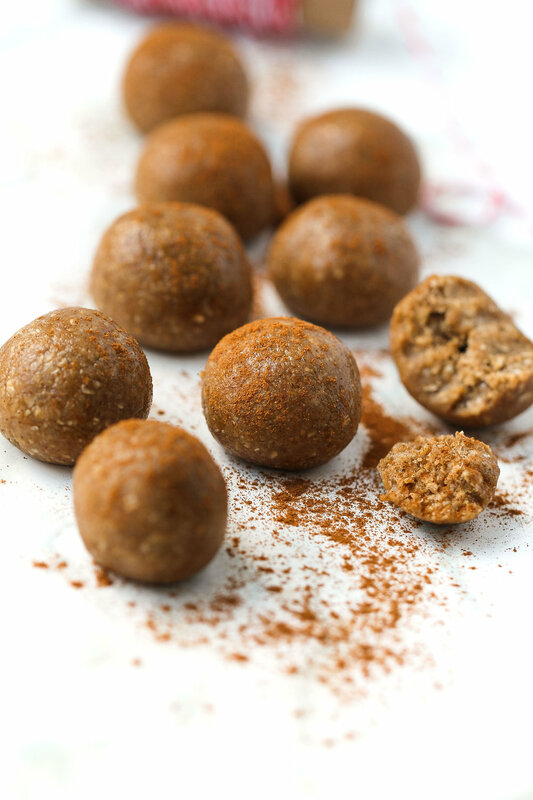 COCAO BITES - I like to call these "healthy Timbits". I get so many requests for this recipe, and if you make it, you'll see why. STRAWBERRY BASIL GRANITA - you really can't go wrong with this Italian inspired dessert. It's cool and refreshing and is a great excuse to combine strawberries and basil, both of which are currently in season. I hope you enjoy these recipes. Here's to a safe, happy and healthy Canada Day and Independence Day! City of Om is happening again this year on Saturday, June 3 at Lansdowne Park. The yoga festival will feature a full day of both indoor and outdoor yoga classes to suit all levels, workshops, live music, local artisans and food vendors. The festival will also include the a free 5k fun run along the Rideau Canal and free family friendly programming. What I love about City of Om is that it celebrates healthy living, environmental sustainability and community, and truly offers something for everybody. I attended last year as both a vendor and a presenter and I had such a fantastic day. I'm so excited to be presenting again this year as part of the "Food For Thought: Workshop Series". The subject of my workshop is "demystifying super foods" and it takes place from 3:30 to 4:30 p.m. at the East side of Aberdeen Pavillion. I'll be talking about many of my favourite super foods, doing a little foodie show-and-tell, along with a food demo. My workshops is available to All Access Festival Pass holders AND the general public, at no cost. The City of Om organizers have kindly given me a few All Access Festival Passes (valued at $100 each) to give away! Scroll down for contest details. This is me speaking last year to a great group of people on the topic of "Food and Mood". In the comment section below please let me know who you would like bring with you to City of Om. The contest closes on Wednesday, May 24, 2017 at Midnight EST. Three winners will be notified via email on Thursday, May 25 with instructions for picking up tickets. Please ensure you enter your email address below (you will be prompted to do so when you leave your comment) so that I can contact you. I also have a special City of Om promo code. Use “amy@cityofom” at checkout to receive 10% off any City of Om passes, including After Party tickets. Did you know that quinoa is not technically a grain? It's a seed (or sometimes referred to as a pseudocereal) and is grouped into the same family as spinach, swiss chard and beets. High in antioxidants and anti-inflammatory, quinoa may be protective against cardiovascular diseases and also help lower cholesterol. Quinoa is a complete protein source and is rich in fiber. It's also a very versatile food that can be incorporated into a wide range of recipes, and can be eaten whole or ground into flour. It's become very popular in the last few years, and for good reason! As I mentioned, there are many ways that you can incorporate quinoa into your diet. However, in this post, I'm going to share a very simple recipe that has become very popular among my clients. This Quinoa Pilaf recipe has been a longtime favourite as it makes the perfect side-dish for stews, soups or stir-fry and can be used as the base for salads. Lately it's been on high rotation as part of my Buddha Bowls. I'll admit that even as a trained chef, I've had my fair share of trouble with quinoa. When cooking it, I used to cross my fingers that it wouldn't end up too soggy and that it would fluff up nicely. In this recipe, you'll lightly cook onion and garlic in oil to create a nice base of flavour, and then you'll quickly "toast" the quinoa before adding any liquid. The process of toasting, combined with the right balance of liquid to quinoa ratio, will result in a light and airy dish with a hint of nuttiness. Also, you'll notice I mentioned "rinsing" the quinoa. Many chefs will suggest doing this as the outer shell of the quinoa is coated in sapponins. These bitter-tasting sapponins area actually healthful phytonutrients but they can result in a less palatable final product if they are not rinsed off. I recommend rinsing your quinoa off in a fine mesh strainer under cold water for a few minutes. That said, the processing and cooking of quinoa often removes a great deal of the sapponins so this isn't mandatory, just a personal preference. Now, without further ado, please scroll down to find the full recipe! Pour the olive oil into a small saucepan over medium-high heat. Add the onion, garlic and a generous pinch of sea salt, and sauté for a few minutes until the vegetables become translucent. Add the quinoa and continue cooking for a few more minutes (5 minutes or so), stirring constantly to toast quinoa a bit. You should begin to smell the nutty aroma of the quinoa while you're doing this. Pour in the water or broth and bring to a boil. Reduce the heat to low and allow the quinoa to simmer. Cook uncovered until the liquid has absorbed and the quinoa has unfurled, about 15 minutes. Remove from heat and let stand for 5 minutes. Fluff the quinoa with a fork and serve immediately. Store in the fridge in an airtight container for up to 1 week. I recently found out that I am a nominee for the Danielle Perrault Trail Blazer Award. I was nominated by my peers through my alumni association, the Canadian School of Natural Nutrition Alumni Association. This Canada-wide award is for recent grads (within 3 years) who have demonstrated overwhelming commitment, involvement and enthusiasm to the Canadian holistic nutrition industry. The winner will be chosen by a panel of judges and the award will be given out next week (Saturday, May 6, 2017) at the Canadian Holistic Nutrition Conference (CHNC) in Toronto. Whether or not I win, this nomination means so much to me. The last few years have been both challenging and very rewarding, and I have to say that this really validates all the effort I've put into growing my little cooking and nutrition business. I definitely could not have done it without the incredible, unwavering support of my husband Jeremy, all my friends, family, peers, mentors, industry partners, and clients. Huge, heartfelt thank you to everybody who has supported me in this journey. I'm super excited to take a little road trip to Toronto next weekend to attend the CHNC. This will be my third year attending! I look forward to seeing many of my fellow nutritionists and nominees while I'm there. If you're an RHN and you haven't yet bought your ticket, click on the image below to be directed to the CHNC webpage. CHNC is taking place in both Toronto and Calgary, and if you can't make it to either location, you can tune in via livestream. Ditching dairy isn’t that difficult when you know how to make substitutions. In most cases, these simple swaps will go unnoticed and you won’t even realize that you’re not eating dairy. If a recipe calls for butter as a base, usually you can substitute (in equal measure) an oil, like coconut oil or extra virgin olive oil, or Earth Balance, which is a buttery tasting spread. When it comes to creamy soups, you can often play around with a few different things. Depending on the type of soup, you can add soaked and blended cashews, rolled oats, coconut milk, or tahini (sesame seed paste) in place of traditional milk cream. In other cases, simply adding in potatoes or a starch (such as arrowroot or organic corn starch) will thicken your soup, giving it a creamier texture. If a recipe calls for milk, particularly when making baked goods, you can safely opt for any of the milk alternatives I listed in a previous blog post. If the recipes calls for buttermilk, you can easily make your own by adding an acid to a plant-based milk. For example, add 2 to 3 teaspoons lemon juice, apple cider vinegar, or cream of tartar to 1 cup of a plain or unsweetened plant-based milk. Let it stand for a few minutes and then you can add it to your recipe. It’s as easy as that! There are also a few fantastic swaps for whipped cream. All you need is a can of full fat coconut milk. Visit the Oh She Glow’s website for an extreme simple step-by-step tutorial. Coconut whipped cream is one of my favourite discoveries. Try it out, I guarantee you’ll love it too! If you're interested in some creative culinary magic, search for "aquafaba whipped cream" recipes. This is whipped cream made from bean or chickpea brine (yes, the liquid you normally pour down the drain!). I've made whipped cream with bean brine on many occasions for cooking demos and people are shocked by the fantastic taste and texture. All you need is brine (from canned or homemade beans or chickpeas), sugar, vanilla and cream of tartar, and mixer or immersion blender and you're good to go! Miso paste is another pantry staple in dairy free cooking. It’s a salty condiment, often used in Japanese cuisine (miso soup), made with fermented soy beans. Miso paste has a pungent umami flavour and is a brilliant replacement for parmesan in both pesto and risotto recipes. It can also be blended in to mashed potatoes or added to salad dressings for extra creaminess and flavour. You’ll find miso paste at most Asian grocers and in health food stores. For those with aversions or allergies to soy, look for chickpea miso. All of the guidelines above will get you started on your diary free journey. However the best advice I can give you is to play around with these ideas and get comfortable in the kitchen. From a nutrition perspective, reducing or avoiding dairy can be extremely beneficial. If you pair that with eating home cooked meals on a regular basis, you’ll do wonders for your health and wellness. Finally, to get you started on your dairy-free journey, here's a very simple and basic almond milk recipe. Enjoy! Blend all ingredients in a high-powered blender for about 1 minute, or until smooth. Pour contents through a nut milk bag, or through a fine strainer and cheesecloth, in to a bowl. Transfer to a container and store in the refrigerator. This article was featured on the Fauxmagerie Zengarry blog. To see the original post CLICK HERE. I’ve been dairy free for several years, but this change definitely didn’t happen overnight. I slowly weaned off by trying out milk alternatives, playing around with dairy-free recipes, and finally, I gave up cheese. I stopped consuming dairy for many reasons; one of the main motivators was allergies. 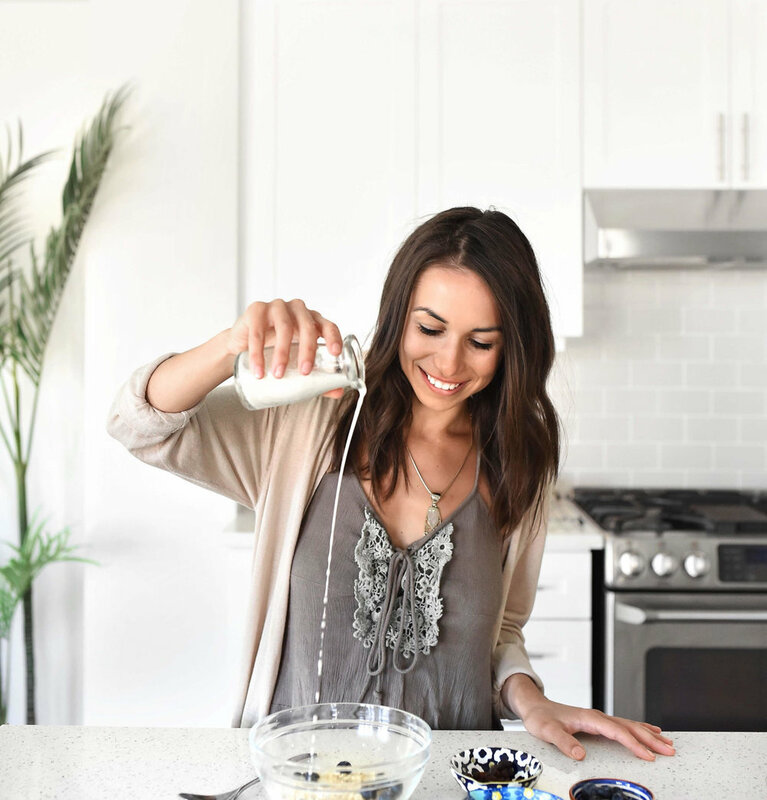 When I finally eliminated all dairy from my diet, many of my allergy symptoms disappeared. I was particularly happy to bid adieu to a chronic cough that had plagued me since childhood. I also found that my sleep improved, as did my energy levels. When I first told my doctor about my decision to make the change, she was reluctant to support and urged me to supplement with calcium. At first, I followed her advice, but after doing a bit more research, I learned that there are so many plant-based sources of calcium. Not to mention that the calcium found in these foods is potentially more bioavailable (easily absorbed) than the calcium found in cow’s milk. Some great sources of calcium include leafy greens (kale, collard greens, bok choy, spinach, swiss chard, beet greens, and more), sesame seeds, brussels sprouts, broccoli, cabbage, leeks, almonds, chickpeas, black turtle peas, lentils, kidney beans, figs, oranges, and much more. Recently, I went for a blood test after years of being dairy free and my calcium levels were excellent! Making these changes in my life drastically improved my health. Because of this, I love helping others who seek to reduce or eliminate dairy from their diet. Now I’ll share my tried and true strategies that’ll help you navigate life beyond dairy! If you’re used to having milk on your cereal, creamer in your coffee, cream cheese on your bagel, mozzarella on your pizza, or yogurt with granola, don’t worry! Even without dairy, you can still have all these things without compromising taste. There’s a wide range of milk alternatives, including almond, soy, hemp, flax, rice, oat, hazelnut and coconut. I recommend trying several of these to discover what best suits your palate. Nutrition tip: if you’re keeping an eye on your sugar intake, always look for the “unsweetened” options. For coffee lovers, there are a variety of creamers and “barista” style non-dairy milks on the market that blend really well into hot drinks. If you are a DIY type of person, there are tons of quick and easy non-dairy milk recipes online. Just ask google! Given that there are many non-dairy milks, naturally there are also countless varieties of non-dairy yogurt. Some of the more popular choices include soy, coconut, and and almond yogurt. Health food stores are usually your best option for non-dairy yogurt, but lately lots of conventional grocers carry them too. Over the past few years, the vegan cheese industry has grown exponentially and many delicious choices are available. Fermented nut cheeses, like Fauxmagerie Zengarry, offer a fantastic alternative to soft cheeses (like brie, gouda and Boursin). You’ll also find a range of harder cheese and cream cheeses available at most health food stores, and even some large and small grocers. You can also buy pre-shredded cheese or, better yet, try grating your Zengarry fauxmages when they’re frozen; It makes a great topping on pizza and pasta! Try out a bunch of different vegan cheeses and you’re bound to find something that you love! Zengarry brie - made from cashews - is an excellent addition to a cheese platter! Sour cream is classically a dairy based product, but it’s very, very easy to emulate. Although you can buy dairy-free sour cream, my favourite is the one I make at home. I like to combine either 1 block of tofu (I prefer medium or firm, but you can use silken) or 2 cups of cashews (that have been soaked for a few hours and drained) with the juice of half a large lemon (or 1 small lemon), 2 tablespoons apple cider vinegar, with a bit of fresh minced garlic or garlic powder (about 1 teaspoon or 1/4 teaspoon, respectively), and sea salt (to taste) in a blender. If you’re using cashews, you may want to add anywhere form a 1/4 to 1/2 cup of water to your mixture. All you need to do is blend everything together until you’ve reached a smooth, even consistency. Voila, you have sour cream! Rethink Your Regular Meals & Snacks. We often fall into routines, or patterns, when it comes eating. Sometimes simply adjusting your way of thinking about certain foods, or trying new combinations, can yield wonderful results. If you’re replacing one great food with another great food you won’t feel deprived, rather you’ll be creating a new staple that is equally enjoyable and satiating. A game changer for me was hummus. For my entire life, I’ve loved having cheese on sandwiches and wraps. Nowadays, hummus is my go-to for sandwiches and wraps and I haven’t looked back. I also used to love dipping raw vegetables in ranch or french onion dressing; again, it’s hummus to the rescue! Besides being incredibly delicious and versatile, I love hummus for its health benefits. Unlike cheese, it’s free of cholesterol and contains little to no saturated fat, and is a good source of dietary fiber. If you love creamy salad dressings, fear not! You absolutely do not need dairy to achieve this texture, taste or mouth feel. Tahini (sesame seed paste) has become a pantry staple for me. After ditching dairy, it became a fast favourite as a base for salad dressings. Mix it with some olive oil or sesame oil, an acid (lemon or vinegar), salt and pepper, possibly some minced garlic, ginger or herbs, and you’ve got yourself a nice creamy dressing. Pro tip: tahini is high in calcium! Soaked and drained cashews or almonds, blended with oils, an acid, and other seasonings of your choice, will also create a lovely creamy dressing. There are lots of great recipes online that will get you started. Have you heard of nutritional yeast (sometimes called savoury yeast flakes or nooch)? It’s a very popular condiment in vegan or dairy free cooking known for its cheesy taste and is often used to make dairy-free cheese sauces. It’s a form of yeast that has been grown on molasses and then harvested, washed, and dried using heat to “deactivate” it. While neither the name nor its description are super appealing, if you’re going dairy-free, it’s worth picking up from your local grocery store, health food store or at Bulk Barn. It can be sprinkled on pastas or steamed veggies. I also love using it to make cheesy popcorn. I make my popcorn the old-fashioned way, on the stovetop, using coconut oil (instead of butter) and I top it with nutritional yeast and sea salt. Although this is not the conventional way to season popcorn, you’ll be surprised at how good it tastes! These days, so many of my close friends and family members are either pregnant or have young babies. Coincidentally, in the last year or so, I've also worked 1-on-1 with many fantastic moms-to-be during their pregnancies. A few years ago, pregnancy and children were definitely not on my radar, but times are changing! This baby boom has definitely challenged me to learn, research and delve deeper into the topic of pre- and postnatal care for both mommas and babies. Through my research, I stumbled upon a local company called Eco Chic Movement. Eco Chic is a line of skincare products developed by Ottawa-based Naturopathic Doctor (ND), Alexis Reid. Her carefully curated line includes 100% toxin free oils, shampoos and a variety of creams for babies and a few products for adults too. With so many babies, new moms, and pregnant gals in my life, I've been attending a lot of baby showers and Eco Chic has been my go-to gift. Since I have been in such frequent correspondence with Dr. Reid in the last year or so, I really wanted to feature her and her company on my blog. Just to give you a little background, she is not only an ND, but she is also a trained Chemical Engineer with a Master’s Degree in Pharmacology and Toxicology with a focus on breast cancer. Given her extensive knowledge and training, I'd been dying to pick her brain and I'm so excited to share this post! Please read on to learn more about Dr. Reid, why she started Eco Chic Movement, the importance of choosing non-toxic ingredients, some of the things you should be wary of when choosing skincare products for babies, and much much more! Amy: Eco Chic Movement is such a great product line. What inspired you to start this company in the first place? Dr. Reid: Thanks Amy! I had just finished my undergrad in Chemical Engineering and was starting my Master’s in Pharmacology/Toxicology, with a focus on breast cancer research. Part of starting my master’s involved doing a lot of background reading and research into all the potential causes of breast cancer. I stumbled upon a collection of research papers dating back to the 1940’s that showed a link between parabens and an increased risk for breast cancer. That night I went home from the lab and, while having a shower, starting reading all the ingredients on my shampoo, conditioner and body wash bottles. Not surprisingly, they all had parabens and phthalates as ingredients. I decided the next day that I was going to replace all my current personal care products with better “natural” options. Upon going to the health food store, I was not happy with what was available. Keep in mind that this was 2007, and at that time, most natural products were very “earthy” and not like what I was used to at all. I swapped out most of my products and got by, but I wasn’t truly happy with the new options. Fast forward a few years to my 3rd year of Naturopathic medical school. We were learning about different herbs for and their benefits for the skin. I got the idea that I could try to make my own products and include the herbs for the beneficial properties, which would also be a great way for me to remember which herb does what! It turns out it wasn’t as easy as I thought it was going to be. I spent the next year, in the kitchen of my condo in Toronto, formulating and re-formulating products until I finally came up with recipes I was happy with. I launched Eco Chic Movement at the Ottawa Baby Show in November 2013 shortly after I graduated and moved to Ottawa to start my Naturopathic practice. 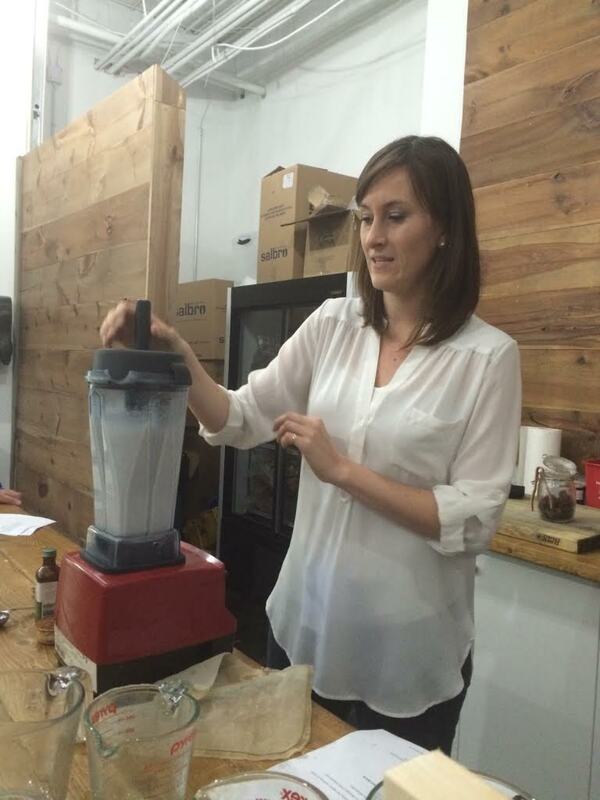 Amy: Can you talk a bit about how you formulate your products? Dr. Reid: Formulating products is definitely a process. I start by deciding what I want my end goal to be for the product. Is it to: protect baby’s bum for wetness, help keep mature skin hydrated, moisturize oily skin without causing an over production of oil etc. Then I research the properties of all the fatty acids I could use to make up the oil component of the product. Next comes what will be included in the water component. I often use ingredients that help to pull moisture from the air into the skin. I like to also add herbs to the products to take advantage of their natural properties. I then determine the proportions of each ingredient in the product and start making test batches. It can often take many test batches to get the product to turn out how I want it. After that, I select a group of testers who I sent the products to along with a survey for their feedback. Amy: What are some "red flag" ingredients that are commonly found in skincare products? Dr. Reid: Where do I start? The 2 biggest red flag ingredients that I have patients avoiding are parabens and phthalates. I have written a series of blog posts on the Top 10 ingredients to avoid in your skin care products, to help break things down and make it easy for you as a consumer. The one insider secret I always like to let people in on is to be very careful about fragrance in products. A loophole exists when it comes to the ingredient fragrance or parfum on skincare product labels. Since the fragrance is considered a proprietary recipe of the company making the product, they do not have to disclose what makes up the fragrance. Almost 100% of the time that fragrance is going to contain either parabens or phthalates. Amy: Are there any known adverse affects (short and/or long term) of using products with the ingredients you listed above? Dr. Reid: This is an area that more research is currently being conducted. We do know that exposure to endocrine (hormone) disrupting chemicals, which both parabens and phthalates are, is linked to a variety of different health conditions including: infertility, breast cancer, prostate cancer, obesity, diabetes and thyroid disorders. For babies and children the need to avoid these “red flag” ingredients is even greater. Babies/Children have a higher percentage of body fat than adults. These toxin sequester (or are pulled into) the fat cells in the body as a way of getting them out of the bloodstream. As babies grow, these toxins are released causing them to be exposed over a long period of time. Many of the red flag ingredients are considered to be neurotoxins. Like most things when it comes to health, it may not be possible to fully eliminate our exposure to endocrine disrupting hormones, but there are many easy switches that you can make to reduce your exposure. The average woman uses 16 personal care products/day. Switching out even half of them makes a big difference. I generally recommend first replacing products that you use frequently and that stay on your skin all day. Examples of these are body lotions and facial moisturizers. Amy: One last questions! Where can we find your products? Dr. Reid: Eco Chic Movement products can be purchased on our website and at the following retailers. You can stay in touch with Dr. Reid by following Eco Chic Movement on Facebook and Instagram. The Eco Chic Movement "Baby Shower Gift Set" contains diaper cream, baby wash/shampoo, face cream, lotion & massage oil. I recently did a lil’ catering gig for a restorative retreat at PranaShanti Yoga Centre. Anne Tessier, the yogi who organized the retreat, requested that I make a comforting and warming meal for the participants. While the entire meal hit the mark and was very well received by the participants, my personal favourite recipe from that day was a sweet potato & chickpea curry that I made. The spices (particularly the ginger and red pepper flakes), combined with rich and creamy coconut milk, gives this curry a very warming and cozy feel. Not to mention that the the healthy fats, protein and fibre content keeps you full and satisfied. This dish has been on high rotation in my house this past winter and I’m happy that I’ve finally managed to take a photo and post this recipe to my blog. I’ve served it with a mixtures of sides including sautéed garlicky green, steamed broccoli, rice and quinoa, but you can enjoy it as is. Just a head’s up, although this dish doesn’t take take too long to prepare (besides a bit of chopping), you’ll want to allow a least 45 minutes to an hour of cooking time in the oven. The long cook time enables the sweet potatoes to soften and the flavours to merge creating a rich and flavourful dish. I personally haven’t used a slow cooker, but I’m sure it would work well too. The full recipe is below. If you try it out, please let me know and share your feedback. I love hearing from you! Preheat the oven to 400F. Place the chickpeas, chopped sweet potatoes and bell pepper in a large baking dish. Warm coconut oil in a medium sized saucepan or skillet. Add the sliced onions and a big pinch of salt. Sauté and stir the onions until they begin to soften and become translucent. Add a little bit of water if they start to stick to the pan. Add the spices, mix well, and cook for a minute. Stir in the coconut milk, tomatoes, maple syrup (if using), salt and pepper. Allow the mixture to simmer for about 5 minutes. Pour the coconut milk mixture over the chickpeas, sweet potato and peppers, and then pop the baking dish in the oven. Bake for about 45 to 60 minutes, or until the sweet potatoes are nice and soft. Once you remove the baking dish from the oven, taste for salt and pepper and adjust the seasoning according to your preference. Serve immediate with a garnish and a side dish of your choice. This recipe is inspired by The Buddhist Chef's butternut squash curry recipe. If you follow me on Facebook, Twitter, or Instagram, you may have noticed that I've been partnering up with Kardish Health Food Centre quite a bit lately. Kardish is an Ottawa-based, family-run health food and natural products store with 9 locations across the city. I know many of the staff, the owners, and I've been to almost all of their stores and I couldn't have been more excited when Kardish's Director of Communications approached me to be its first nutrition ambassador. I'm so pleased to take on this role with such a fantastic local company. This means I'll be doing lots of events and nutrition talks with Kardish in the coming year! Be sure to visit my events page regularly or sign-up for my newsletter to stay in the loop! Recently Kardish created a Chocolate Guide (right on time for Valentine's Day!) and included a couple of my recipes. Both recipes are chocolate based, super easy to make and healthy too. The Guide also includes interesting chocolate facts, the health benefits of chocolate and also the best brands to buy. CLICK HERE to access the guide. You can also scroll down to see the two recipe I provided. Please comment below or send me a message if you try any of the recipes. I always love getting feedback! The photo of the stew below might look familiar to you. If you've been to my website before you've probably seen it. It's one of the beautiful photos taken by my friend Caroline of CY-iwander that now resides on my homepage. It was taken a couple of years ago when we did a little photo shoot together. I figured it was finally time to share this fantastic recipe on my blog! It's perfect for these cold days. It's hearty and warming, with a nice complexity of flavour. This is a slow cooker recipe and, although may seem fancy based on the ingredient list, it's quite easy to make! I wish I could take credit for this delicious creation, but I can't. It was actual developed by restaurateur and chef, Grant Achatz. I have made a few adjustments and omissions to his original recipe to make it more "user friendly" and have also added some white beans for extra protein and satiety. You'll see that there are a few not-so-standard- yet readily available - ingredients that you may have seen at the grocery store, but have never incorporated into your cooking. Farro is one of them. It's an ancient grain that has been making a bit of a comeback in recent years. It's an excellent source of protein, fiber and nutrients like magnesium and iron. It has a chewy texture and mild taste. While it does contain gluten, it has lower amounts than wheat. If you've been wanting to try it out, this recipe will not disappoint! You should be able to find farro at most larger grocery stores (among the grains or in the health food section), health food stores, or Middle Eastern grocers. You may not have tried cooking with fennel, figs, or artichokes before either, but this recipe will give you the opportunity to do so! If using fresh herbs: tie the rosemary, oregano and thyme sprigs into a bundle using kitchen twine. If using fresh artichoke: use a serrated knife to cut off the top third of the artichokes. Snap off the small leaves from around the artichoke stem. Cut the artichokes in half lengthwise. With a spoon, scrape out the hairy chokes and discard them. Turn your slow cooker to high and set the timer for 6 hours. Starting at the crushed red pepper flakes, add all of the ingredient up to and including the cherry tomatoes. Then add the herb bundle or the dried herbs. Spread the ingredients in even layers. Cover the slow cooker and cook for 4 hours. Stir the stew gently and add the zucchini ensuring to submerge them in the liquid. Cover and cook for 2 hours longer. About 10 minutes before serving, stir in the kale to allow it to wilt and soften. Discard the herb bundle (if you were using it) and season the stew with salt. Serve immediately garnished with green onions. Grant Achatz's original recipe can be found on Food & Wine. Over the last few years I've been struggling to find my rhythm. Juggling cooking lessons, workshops, yoga retreats, private clients, meetings, tons of travel, and several huge life events has been a challenge for me. Don't get me wrong, I love self-employment and I'm very, very grateful for every opportunity that has come my way, but I know I can achieve more and ultimately give more to my clients, friends and family by giving more to myself. In the last year or so, I’ve started to rearrange my life in a way to create a more peaceful start to my day. I’ve gradually started adding a bit of meditation here and there, sometimes yoga or stretching, but the mainstay has been my morning walks. Each day, without fail, I head out for a good 45 minutes to an hour to walk with my husband and the dog. This daily routine has essentially become second nature. It’s on par with brushing my teeth to the point where my daily morning walk is almost a necessity. This year I hope to actually expand upon this routine and gradually incorporate daily and consistent meditation and/or yoga upon rising, goal setting, and no social media until I’ve had my tea or breakfast. Health, wellness, and performance gurus have been singing the praises of “morning practices” or “morning routines” for ages. As a person who was historically rush-rush-rush go-go-go and super frantic in the mornings, the idea of a routine with order, structure and with minimal stress use to seem very foreign, but those days are are getting further and further behind me. I'd say the gurus are really onto something! To learn more about the importance of morning routines, I spoke with my friend Manal Nemr. She's a Life Coach and also one of my #HappinessHabits613 co-founders. She’s a big advocate of this practice and she’s also done a lot of reading and research on the topic. Below she shares some of her knowledge, insights, and also a glimpse into how she starts her day. Read on for the full interview! Amy: I know the concept has been around for ages, but lately morning routines or morning practices have been front and center among health and wellness experts. Can you explain why it's important to have a morning routine? Manal: We have a specific amount of energy and willpower when we wake up in the morning. We have to consciously decide where and how we're going to use that energy and willpower. Essentially, we have the power to decide how we want to feel going into our day and we can carve that through a consistent morning practice. Do we want to leave the house frantically, unorganized and stressed out? Or, do we want to create space that makes us calm and at ease so that we can go about our day with a clearer, more creative mind? Cultivating an intentional routine each morning nourishes, motivates and energizes us to start our day with an optimistic mindset. It sets the tone for the day and reminds us of what’s important. Amy: This makes perfect sense to me. But to give the readers some perspective, can you tell us what a typical morning would be like for you? Amy: Your morning sounds fantastic, but I'm sure some people are reading this and feeling like it would be quite difficult for them incorporate a practice like yours. Do you have any tips for people looking to dip their toes into a morning practice? Manal: Start small. If you can’t do everything or if you get overwhelmed, just start with one thing in the morning. Maybe that’s only doing a 10 minute meditation and do that everyday until you’re able to incorporate something else. To make any behaviour a habit, we must do it consistently. Amy: I often talk to my clients about the importance of being well rested and setting a regular bedtime. I know you’re a big advocate of this too. Manal: Yes, definitely. Sleep is very important! It helps with stress and anxiety. I recommend shutting down all your technology at least an hour before bedtime. Maybe journal or read before going to bed. Also, make the small decisions in the evening to make your morning routine easier. Like setting up the coffee maker, or laying out your clothes for the next day. Eliminating small decisions leaves more energy and willpower for bigger decisions. Amy: I love it! Any final words on the importance of these types of routines? Manal: Research tell us that 40 to 45% of what we do everyday is habitual. Essentially we’ve performed a habit so many times that it’s become automatic. They’re the building blocks of our lives; so, if you want to change your life, take a closer look at what you DO want, and then cultivate the good and healthy habits that will create that life. Once we’ve decided what we want our morning to look like and why, we can do these things consistently every day. This consistency makes it a habit. When something is automatic, it frees up space for other things. This increases our efficiency. We no longer need to think about it, we just do it. No reminders, and less need for willpower (which is limited) and motivation (which comes and goes). If you’d like to learn more about Manal and her company Beautiful Happy Reasons, check out her website, her Facebook page, or her Instagram account. Want Healthy Recipes Delivered Straight To Your Inbox? Sign up below to receive my Plant-Based Pantry grocery list today + monthly recipes, blog posts, updates, and lots of other good stuff! What's new on Instagram? Visit @AmyLongard. The content on this website is intended for your information only. Health concerns should be addressed by a qualified professional. Plant-Based Nutrition, Culinary & Wellness Consulting based in Ottawa, Canada.